.. who’s the grooviest, of them all? 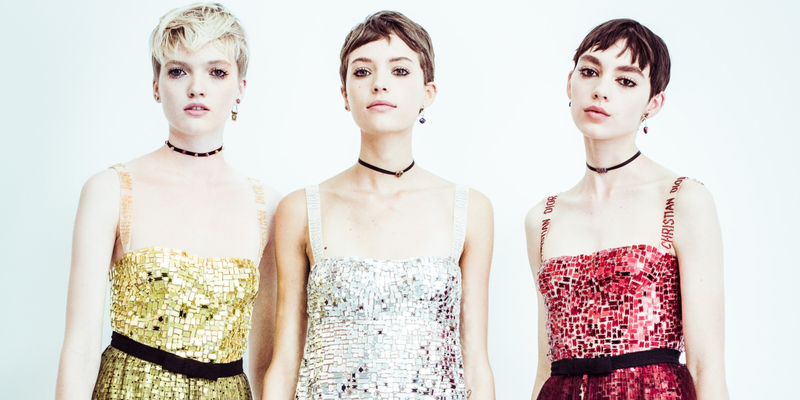 For Maria Grazia Chiuri at Dior, the answer stems from Niki de Saint Phalle’s Tarot Garden sculpture park, whose shimmering mirror mosaics were transformed space-age minidresses and bustier evening frocks. Here, a closer look at the maison’s latest Spring/Summer ’18 collection. Maria Grazia Chiuri’s evening interpretation of artist Niki de Saint Phalle’s Tarot Garden mirrored park. A throwback to former Dior creative director Marc Bohan, hemlines were raised to above the knees – a nod to the Sixties mod look that once invigorated the maison.